Delicious, flavorful, meaty fruits have smooth shoulders, not as rough and ridgy as Beefsteak and the blossom end scars are smaller. Prolific, vigorous plants produce luscious red fruits averaging 17 oz. Tomato, Super Beefsteak is rated 4.5 out of 5 by 10. Rated 5 out of 5 by Randy W from Amazing! I grew these last year...and the plants were OVER TEN FEET TALL! Nice flavor and amazing plant growth. Rated 4 out of 5 by Phlinx from Great flavor, but very small... It was super easy to start these from seeds and they're producing like crazy! The flavor is great as well. Only trouble is, they're super small. They're golf ball size or smaller actually. I reread through the instructions on the site and the only thing I can guess is they don't like the soul or the greenhouse climate. Thoughts on how to improve this next year? Rated 5 out of 5 by Leseastpointeorganics from Super Beefsteak I have been growing this variety for years Indeterminate - Vine Tomato plants. Meaty Tomato with nice flavor. You must stake or cage this plant. It will be heavy with large fruit. 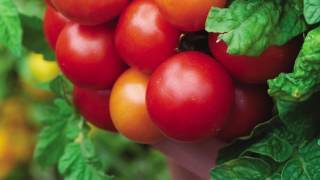 I have had Tomatoes over 2 lbs.up to 3 lbs which may rival the new largest Tomato Burpee has the Steakhouse Tomato. Rated 5 out of 5 by sunflowerlover from Great Tomato! I planted these tomatoes and had a 70% germination rate, which is better for me than normal tomato seeds. These are producing tomatoes very well and are still performing beautifully through late November. I would definitely recommend this tomato! Rated 5 out of 5 by CallyS from A new favorite! Every year I try a new variety, along with our regular favorites. This year it was the super beefsteaks and it was a winner! 100 % of the seeds germinated, they were easy growers and good producing plants. We had a very funky growing season this year, with unusually cool weather, lots of cloudy days and/or rain. As a result, most gardens were taken down by a fungal virus. The super beefsteak was the last to succumb to the virus, and the best producer in the garden. If these plants can do that well in a bad growing year, I can't wait to see what they do in a good year. And, the flavor was OUTSTANDING. They are large plants though - mine went close to 7 feet - but that's about the only drawback with these tomatoes. Rated 5 out of 5 by Flowergirl75 from First Timer - OMG! I've never grown tomatoes from seed, and a local store had all seeds on sale. Being unemployed, I thought I'd try my hand. From years of buying starter plants, I knew I wanted indeterminate tomatoes, and chose the Super Beefsteak because I wanted a larger tomato that would be great to can. I planted over 20 seeds in a starter tray. All the seeds germinated and grew into beautiful plants. It's early July now, I gave 4 plants away, and the rest are in kitty litter pails (38 pound huge pails), because our soil is lousy. They are planted in a mix of garden soil and cow manure, and fed with organic fertilizer. Every day, I go out and talk to them, water them, fertilize when needed - I just cannot believe I grew these gorgeous plants -- FROM SCRATCH! They have tons of blossoms and buds, and I've even got a few baby tomatoes! Can't wait to start harvesting them! Thank you so much, Burpee! Rated 5 out of 5 by IllinoisDigger from All my seeds started Started these indoors using commercial potting mix and had fantastic germination. I put two seed in each chamber and snipped one after their true leaves emerged, then transplanted into 3" pots (16 oz styrofoam coffee cups.) They are growing well and I look forward to setting them out in the garden a a few weeks. I used good, clean well water and did not allow the starter mix to dry out during the first two weeks. I also started Super Sweet 100 Cherry tomatoes the same way and was equally successful. Rated 5 out of 5 by Imakedirtlookgood from Old time favorite I remember having Beefsteaks when I was a kid. I have not been much of a gardner but decided to develope the skill. 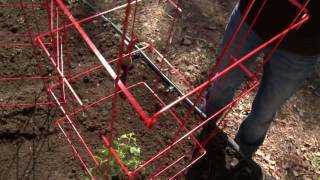 I wanted to try "Square Foot Gardening" since our soil is so poor. I started the seeds in yogurt containers that I had saved along with potting soil. All the plants came up except two but I planted extra. They seemed to transplant well in very heavly composted beds. I water twice a day until they are established since the soil drains so well. That is as far as I have gotten but I'm encouraged by what I see.